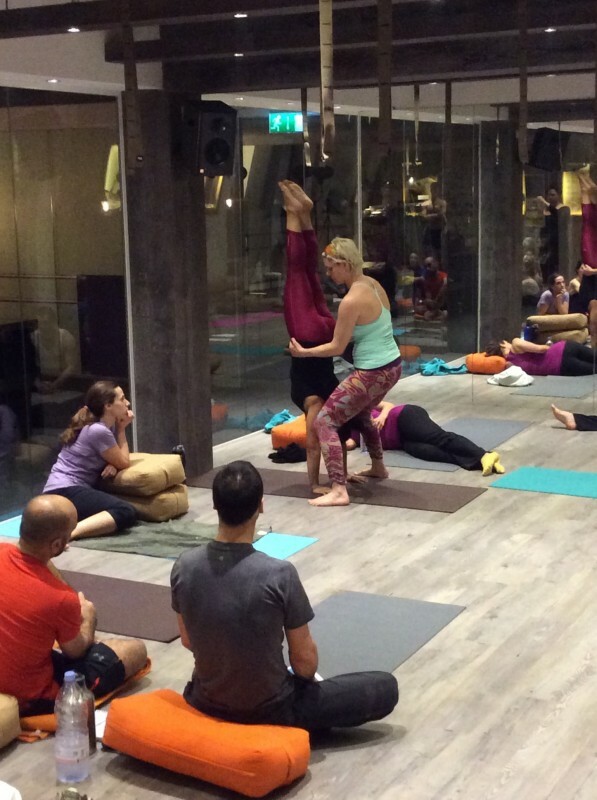 It still amazes me what a diverse and holistic approach has been taken with this hot yoga teacher training course. The regime is relentless but I am thriving from all the knowledge that is being shared. Today is the end of the first day of our ten day intensive. Having been driven to the station at some ungodly hour of the morning by my incredibly supportive wife (who has also agreed to take on all my classes whilst I am away) I find myself speeding through the countryside reading about the history of Bikram Choudary and the method behind the 26 classic Hatha postures. I am sinking litre after litre of water knowing what is coming as soon as I arrive. After a mad dash from Paddington to Kings Cross lugging the largest rucksack you have seen (mainly full of vegetables) and a huge cool box (packed full of meat!) I manage to just catch the connecting train and arrive into Cambridge station twenty minutes before class starts. An 18 minute boot camp jog to Ethos studio leaves me just a second to get changed and run into the hot room a flustered, sweaty mess! I can’t describe how good that class felt to stretch out after being on a train all morning. Next up it was straight in to see Jambo who practices applied kinesiology and shamanism. A 90 minute intense session working on my jaw left me fairly drained but I knew the day was far from over and a healthy sized meal soon brought me back on track. 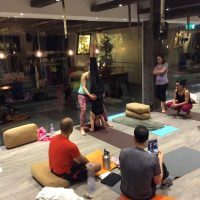 The evening kicked off at 5pm with a 90 minute hot Bikram yoga class, this was followed 15 minutes later by a 90 minute hot Forrest yoga class. Another 15minute break and it was straight back in for a two hour handstand workshop. 10.30pm and it’s time for the 15 minute cycle back to my sisters house. The cycle was strangely pleasurable (even after all that excercise) and allowed me to warm down the body and check in on how I was doing…and I felt great! If I didn’t have the knowledge I did in nutrition, I think it would have been a different story but as I write this in the warmth of my bed, I feel really rather good! The most physical day of the course so far completed, I’m looking forward to seeing what tomorrow brings!